Election Watch: Will Labor lead on renewables? – The Hon. John Thwaites, second reading of the bill that created the Victorian Renewable Energy Target (2006). 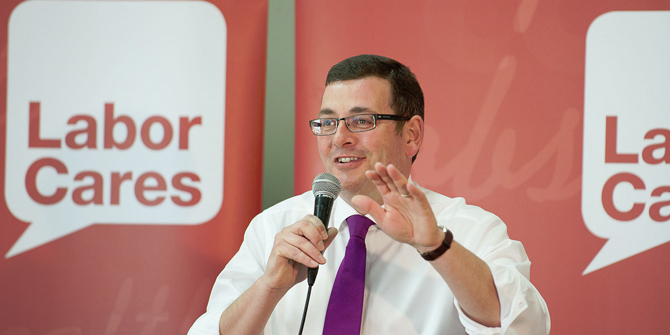 The 2014 state election draws near and the Victorian Labor party is expected to soon release its energy policy. What is known about the Labor party’s energy policy? What does Labor’s past performance in government reveal about their energy policy agenda? It’s well known that the Coalition government’s anti-wind farm laws are the biggest barrier to renewable energy development in Victoria. 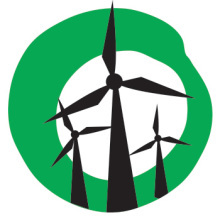 Friends of the Earth analysis shows they have cost the state hundreds of millions of dollars worth of investment, hundreds of jobs and enough clean electricity to power 250,000 homes. The Labor party has vowed to ‘rip up’ the Coalition government’s anti-wind farm laws. Labor governments in the Australian Capital Territory and South Australia are setting the benchmark. 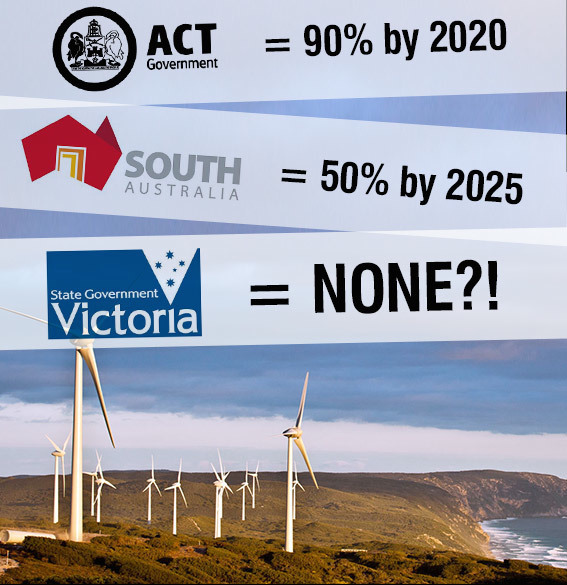 The ACT and SA have Renewable Energy Targets… Why doesn’t Victoria? The ACT has a renewables target of 90 per cent by 2020. South Australia’s target has been lifted to 50 per cent by 2025. Victoria doesn’t have a target and is falling behind on renewable energy. Yes 2 Renewable have called on opposition leader Daniel Andrews and Denis Napthine to make a Victorian Renewable Energy Target a central plank of a state renewable energy strategy. 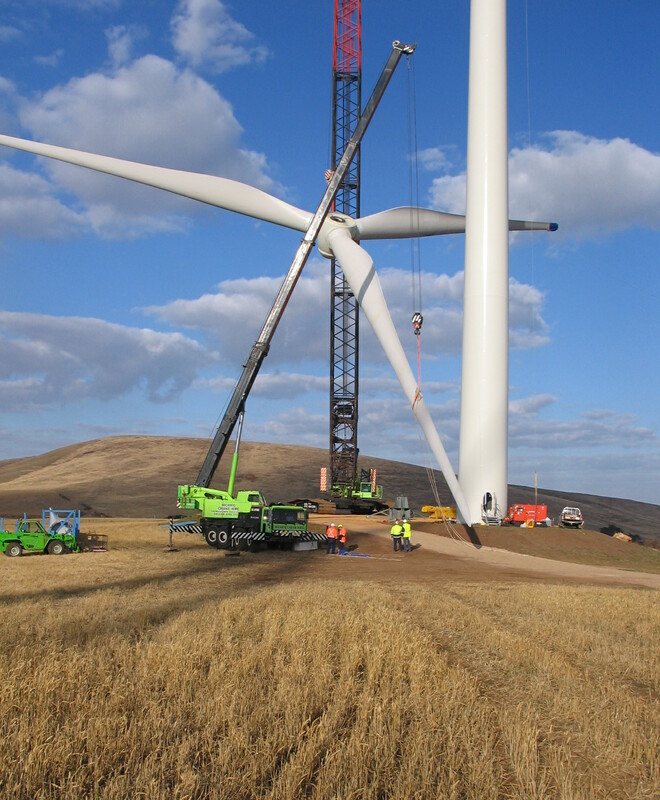 The policy will drive investment in shovel-ready wind farm projects and encourage utility-scale solar farms. A state Renewable Energy Target that works alongside a national RET scheme will unleash investment and create jobs in Victoria – which is something all political parties can support. With 71 per cent of Victorians supporting state government policies that encourage more renewable energy, a VRET . Can Labor lead on renewables and support a Victorian Renewable Energy Target? Yes they can. The Victorian Labor party has a legacy of supporting renewable energy in the state. A signature achievement of the Bracks Labor government was the introduction of a Victorian Renewable Energy Target in 2006. The Hon John Thwaites, former Minister for Environment. Large reductions in greenhouse gas emissions are expected to be necessary by the middle of the century to mitigate the impacts of climate change. Sustainable growth in a strong local renewable energy industry will support the achievement of significant cuts in greenhouse gas emissions. Victoria will lead Australia in the development of a renewable energy industry with the introduction of the Victorian renewable energy target (VRET) scheme established by this bill. 10 per cent and to facilitate 1000 megawatts in wind power generation. The bill establishes a requirement for electricity retailers to purchase an additional 3274 gigawatt hours of renewable energy by 2016. We have chosen that year after careful consideration of its impacts on electricity prices and the need for a long-term flow of work for the renewable energy industry. We are taking this step to fill a void left by the commonwealth’s failure to extend the mandatory renewable energy target (MRET) scheme. The Howard government has failed to do so despite the sensible recommendations of its own Tambling review. The Victorian renewable energy target scheme is responsible and balanced. It provides the renewable energy industry with the certainty of steady but not excessive growth over a 10-year period which will limit increases in retail electricity prices and avoid creating large losses for existing generators. In addition to the VRET scheme, we will continue to work towards our ambitious 10 per cent renewable energy target as early as 2010, through a range of complementary measures to promote renewable energy in Victoria. These include further promotion of voluntary green power purchases by households and businesses in Victoria, solar power on houses, technology support and energy smart zones. These additional measures could add to our renewable energy capacity, taking the level of renewable energy as high as 12 per cent by 2016. Almost 70 per cent of Victoria’s greenhouse gas emissions are from the stationary energy sector. In December 2004 the government released its Greenhouse Challenge for Energy position paper. The government’s approach is in line with the views of the International Energy Agency, which released a report in February 2006 urging governments not to leave such developments to the market. Rather, the International Energy Agency called on governments to improve market deployment strategies for renewable energy technologies, ensuring continued improvements in their cost competitiveness. The bill provides investment certainty and ensures that a number of major investments in regional Victoria will proceed. VRET will trigger up to $2 billion of new investment in renewable energy projects over the next 10 years. VRET will result in greenhouse gas abatement of 27 million tonnes over its full life, or an average of 1.13 million tonnes per year. This is equivalent to taking all of Victoria’s 3 million cars off the road for two years. Extensive analysis has been conducted to demonstrate that the government’s target is able to be met in a cost-effective manner and offers real economic benefits to regional Victoria. These are benefits which go beyond simply the achievement of greenhouse gas reductions. VRET will create up to 2200 new jobs in the renewable energy industry and up to $2 billion in capital investment, mostly in provincial Victoria. With the passage of the bill, further development of the Victorian renewable energy industry will encourage regional investment and employment. Additionally it will produce significant reductions in greenhouse gases for years to come. If not us, who? If not now, when? Today is the day for Victoria to assume its rightful place in leading the nation towards a sustainable energy future. Fast forward to 2014, and Victoria is without a Renewable Energy Target. Will Labor be the party to return ambition to state energy policy and return Victoria to the status of national leader for renewable energy? We’ll soon find out. Sign our petition calling on opposition leader Daniel Andrews and Denis Napthine to set a Victorian Renewable Energy Target.